From November 2016 until now (January 2019), I have spent much of my time conducting impartial (self-funded) exhaustive literature research on ALL of the diverse disciplines relevant to climate- and sea-level change (geology, history archaeology, geophysics, glaciology, climatology, oceanography, astrophysics, etc. ), as opposed to IPCC ‘climate scientists’ blinkered by their short view back in time (decades at most) and their over-reliance on computer models with stacked assumptions. My three overriding conclusions will surprise you: (1) metre-scale sea-level rise is coming (about 3m between now and 2100, perhaps even 2050); (2) the responsible global warming (melting Antarctic glaciers) was caused by the sun (not CO2); and (3) warming ended in 2016. CONTACT ME for half-day presentation of the global geological and archaeological evidence for a rapid (30-100 years?) 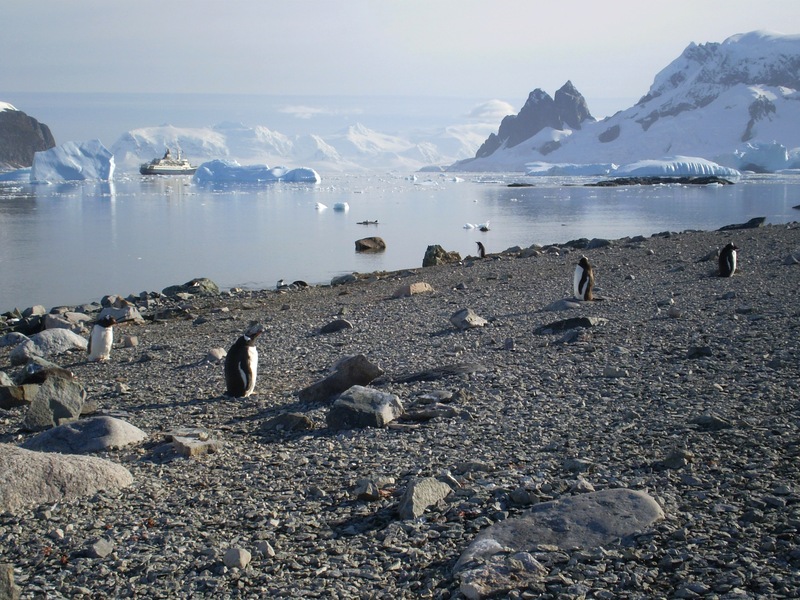 sea-level rise of about 3 metres c.350-450AD (early Dark Ages), after a Roman-age 'Grand Maximum' of the sun caused collapse of Antarctica's ice-sheet rim by impingement of overwarmed ocean water, delayed a few decades by ocean thermal inertia and 'conveyor-belt' circulation (both ignored in IPCC’s models). The sun's ONLY subsequent comparable Grand Maximum, 1500 years later, has just ended (1937-2003) and, accordingly, Antarctic's edge is NOW falling apart again (see photo below). The clock is ticking. The coming about-3-metre sea-level rise is imminent and unstoppable. In fact it is arguably already beginning - see steepening of NASA sea-level chart … https://climate.nasa.gov/vital-signs/sea-level/ ONCE AGAIN, THIS IS SOLAR-DRIVEN, NOTHING TO DO WITH CO2. (2) sea-level rise will drown your nation’s atolls, or your city’s waterfront power station, harbour, airport or financial district, or your company’s global hotel chain (it will, in my professional opinion). Antarctica’s ice-sheet fringe is being rapidly melted by upwelling of Atlantic water ‘overwarmed’ by the recent solar ’Grand Maximum’ (1937-2003). The water’s arrival is delayed a few decades by ocean thermal inertia and by ’conveyor belt’ circulation, whereby overwarmed surface water is downwelled in the north Atlantic and then travels southward at depth along the entire length of the Atlantic. Photo © Roger Higgs.